"Change", the mantra that is no longer strange to Nigerians and, more importantly, an indisputable reality. This phenomenon has also not left your beloved news site. Sometime around this period two years ago, the pregnancy of a foetal wild dream was birthed. Being a pioneer in the area of online campus journalism and news reportage, OAU Peeps News Agency has surely had its rough days, but it is days like this that has forged us into the formidable force we are becoming by the day. Remarkably, by July 21, we would have served the 'OAU community with undiluted news stories for two solid years. However to further improve the quality of our services most especially as our reader base, whose satisfaction and up to date information is the major motivation and lifeline of the agency, we must at occasional intervals respond to nature's call for ecdysis; we must shed the old skin to allow the growth of a new one, a bigger and better one! The Public Relations Officer of Obafemi Awolowo University, Mr Abiodun Olarenwaju has said that the decision of the Federal Government cannot be questioned, hence final. This is coming some few hours after all members of the Governing Council of the institution handed over to the Registrar upon their dissolution. While addressing members of the Press today, the University spokesman said since OAU is a Federal institution and the President is it's Visitor, therefore officials of the varsity have the sole responsibility to oblige to directives of the President without recourse. It will be recalled that President Muhammadu Buhari, late on Thursday ordered the dissolution of the Governing Council of OAU due to the unabated Vice Chancellor selection crisis rocking the university. He further clarified that the Registrar, Mr Dotun Awoyemi, had not been appointed as the Acting Vice Chancellor but was asked to handle the affairs of the University just for the main time. The OAU Public Relations Officer, Mr Abiodun Olarenwaju speaking today at the press conference organised by the OAU ACJ stated that the Obafemi Awolowo University, Ile-ife has some of the best Hostels. He further stated the reason for the current demeaning state of the halls could be attributed to the students for allowing squatters in their rooms which are only meant for Freshmen and Final year students and not returning students outside this circle. He further notified the journalists present that the Halls of Residence had been renovated on paper. Also Speaking on the recent robbery attacks occurring off campus, he said the University Management is not to be held responsible for that so far the students are out of the axis of the university. He also added, stating the obvious, that the price for bedspace was very cheap when compared to getting accommodation in town. Speaking With the Obafemi Awolowo University Public Relations Officer, Mr Abiodun Olarenwaju during a Press conference with the Association of Campus Journalists, at the University Senate Building today, he assured all OAU students that resumption will be in matter of days. He however further explained that though he couldn't predict the exact time, he was sure the resumption date would be announced soon. It will be recalled that the school has been shut since June 16, 2016 as following the protest of NASU/SSANU against the alleged illegal appointment of the New Vice Chancellor. He also debunked the rumour of announcement of resumption date circulated in the media. The minister, while wishing Nigerians a peaceful celebration, urges total support for President Muhammadu Buhari’s avowed determination to bequeath to the nation an enduring political legacy, it added. 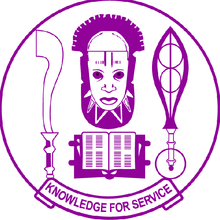 The Staff of the Obafemi Awolowo University, Ile-ife may experience a delay in the payment of their June salaries. This was made known in a circular signed by the Registrar of the institution, Mr Dotun Awoyemi. Awoyemi stated that the delay was due to the ongoing industrial action of the Non-Academic Staff Union (NASU) and Senior Staff Association of Nigerian Universities (SSANU) which has he put it, "...made it impossible for relevant staff to gain access to their office." He however appealed on behalf of the University administration to the University Community for understanding. The Academic Staff Union of Universities, ASUU, on Wednesday, kicked against the Federal Government’s directive for tertiary institutions to scrap the Post-Unified Tertiary Matriculation Examination, Post-UTME, for admission of candidates for the 2016/2017 academic session, saying the quality of tertiary education in the country could improve if the institutions are allowed to regulate their students admission process. Recall that at a recent joint policy meeting to decide the cut off mark for students seeking admission into the universities, the government announced the scrapping of post-unified tertiary matriculation examination (UTME). The Post UTME is the second stage of screening usually conducted by universities for the final selection of candidates qualified for admission for an academic session. The Federal Government of Nigeria has dissolved the current Governing council of the Obafemi Awolowo University. The Governing Council has been asked to hand over to the Registrar of the University till further notice. confirmed to OAU Peeps by the NASU OAU Chairman. The cancellation may not be totally unrelated to the ongoing Protest against emergence of Prof. Salami as new Vice Chancellor of OAU. The NASU/SSANU members as at tonight have been seen singing victory songs around the University Campus. NASU, SSANU Reinforce Claim, Call Principal Officers "Cabal Of Rogues"
The Obafemi Awolowo University Senior Staff Association of Nigeria University and the Non-Academic Staff Union Chairmen (Comrade Ademola Oketunde and Comrade Odewumi respectively) has described all principal officers of the Obafemi Awolowo University as Cabal of Rogues. The duo described the Officers as a cabal of rogues for allegedly following illegal processes in the appointment and adoption of the new Vice Chancellor of the University. want rogues in power, we want human beings”. The Chairman of Non-Academic Staff Union,OAU Chapter, Comrade Wole Odewumi has pleaded with the students of Obafemi Awolowo University to be patient with them in this struggle. He made his plea also during the OAU ACJ press confrontation organised today, Thursday 30th June 2016 at the University Senate Building. In his words, "I will like to beg all OAU students to be patient with us to clear this rubbish". He further assured that smooth academic calendar is also their Paramount concern but the "rubbish", has he described the current situation of things on campus, had to be cleared once and for all especially the illegal appointment of Prof.Ayo Salami as the New Vice chancellor. He further explained if this is not cleared, we all would be blamed and the generations to come would also blame us. He further clamoured for the support of the students so that the ongoing struggle will be fruitful. The Nigeria University Games Association has suspended Obafemi Awolowo University from hosting NUGA Games. This was made known to the public by the Chairman of the Senior Staff Association of Nigeria Universities(SSANU),OAU chapter, Comrade Ademola Oketunde, during the press conference organized by the Association of Campus Journalist, OAU Chapter at the University Senate building today. He said the suspension was attributed to the misappropriation of funds in the 2014 NUGA games hosted by the last administration. He further explained that this was one of the financial misappropriation claims that trailed the last administration led by Professor Bamitale Omole, the outgone Vice Chancellor. It has just been brought to the notice of the management of OAU Peeps News Agency that a post is being spread with the above headline with an OAU Peeps link underneath the post. We hereby use this medium to inform the general public that, in as much as we are media patners of GoPoethick 2016 which the link below the headline advertises, the Agency is in no way involved with unfounded resumption claim and we also use this medium to enjoin rumour mongers to desist from this act. As always, we would convey accurate and precise information on resumption upon announcement. Another of Africa’s finest novelist, poet and dramatist Captain Elechi Amadi is dead. According to reports gathered, Amadi died on Wednesday at the Good Heart hospital in Port Harcourt at the age of 82. The late captain Elechi Amadi was among the first generation of African writers and novelists. Are You Ready To GoPoethick? Are you a lover of arts, music or Poetry? Have you heard of the biggest music, poetry and arts exhibition in OAU? If not then it's time to GoPoethick! GoPoethick is an annual festival of arts, music and poetry. This year's edition has been slated for 18th July, 2016. Then send a text including your full name, the size you prefer, and the color preferred, and teller number to 08062812444, or 08067436786. For those using internet banking, send every other detail apart from teller number to same numbers. Candidates who made Obafemi Awolowo University, Ile-Ife their first choice in the 2016 UTME/DE and scored 200 and above are hereby inform to log on to Obafemi Awolowo University, Ile-Ife website (www.oauife.edu.ng) or eportal.oauife.edu.ng for their admission screening. SCREENING-UTME/DE APPLICANTS using their JAMB Registration Numbers to download RRR (Remita Retrieval Reference) and use it to pay for Eportal Access Charge on Remita platform which accepts cash payment via bank or master card. Candidates can access the University eportal anywhere to effect payment in any branch of Banks. Candidates who are awaiting results are also eligible to apply for the screening. Only awaiting result candidates who applied within the specified period will be allowed to upload their results when they are released. The management of the University of Benin, Edo State, has announced the suspension of its post-Unified Tertiary Matriculation Examination. The announcement was made barely 24 hours after the Minister of Education, Adamu Adamu, instructed the nation’s tertiary institutions to stop the conduct of the exercise. “If any tertiary institution has conducted the post-UTME, such an exercise stands annulled and money taken from candidates must be returned immediately,” Adamu had said in a statement through the Deputy Director, Press and Public Relations, in the ministry, Mr. Ben Mem Goong. The Public Relations Officer of the university, Mr. Michael Osasuyi, told The PUNCH on Tuesday that the suspension was with immediate effect and in compliance with the Federal Government’s directive. “We are suspending this exercise now, in compliance with the Federal Government directive. We are suspending forthwith,” Osasuyi said. The screening was scheduled begin on June 27 and last for two weeks. Just incase you are a student or fresh graduate of the great Ife and you have not heard, the 234Project Team would be giving out about N125,000 in the Great Ife Writer Project. All you have to do to win yourself some money is write a 500-700 word essay on what you think the most challenging issue in Nigeria is and how you would solve it. 1st Prize: N75,000 + 1 year paid writing contract. The Minister of Education, Malam Adamu has ordered every tertiary institution that has conducted post-UTME examination to quickly refund cash taken from applicants. The Minister has likewise announced that post-UTME examinations effectively taken are invalid and void. The Education Minister made this position known yesterday, in a press proclamation issued by Deputy Director Press and Public Relations, Ben Bem Goong. The solid worded articulation repeated the Ministry's position that post-UTME examinations have been scrapped with prompt impact and no foundation ought to direct such examinations. The Minister cautioned that once the Joint Admission and Matriculation Board (JAMB) has confirmed an applicant deserving of admission into any of the tertiary institution, such applicant must be esteemed fit by the Institution.